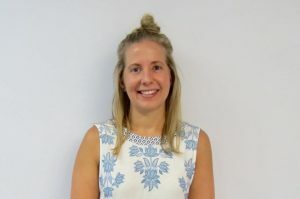 Megan commenced at Stafford Physiotherapy Centre as a physiotherapist in December 2013 after graduating from the Australian Catholic University. Prior to studying physiotherapy, Megan completed a Bachelor of Applied Science (Human Movement Studies) at University of Queensland. She has worked as an exercise physiologist at a leading gym, and in private practice in London. Megan has a Level 3 Pilates certificate, and has also studied dry needling. Megan enjoys working within the musculoskeletal field as a hands-on physiotherapist with emphasis on manual therapy and exercise prescription. Our dedicated physiotherapists are committed to providing clients with a comprehensive assessment and treatment program in a friendly and caring environment. We employ skilled, predominantly ‘hands-on’ technical expertise, and provide specific exercise programs and advice. Get back to doing the things you love with the help of our expert physiotherapists and Pilates instructors.